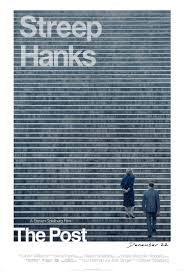 "The Post" reminds us about the indispensable role of the press in a democracy, ours in this particular case. 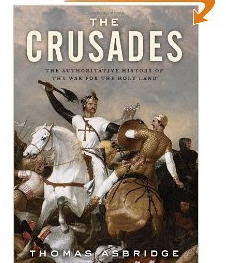 An historical fact that comes to illustrate the dangerous times we're living now. The story of The Pentagon Papers, that Defense Department secret study of how this country became entangled in a no win war in a faraway place for no valid reason. Steven Spielberg directs Meryl Streep and Tom Hanks in the movie. 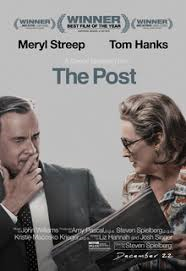 It shows a suspenseful drama about the unlikely partnership between The Washington Post's Katharine Graham (Streep), the first female publisher of a major American newspaper, and editor Ben Bradlee (Hanks), as they race to catch up with The New York Times to expose a massive cover-up of government secrets that spanned three decades and four U.S. Presidents. The two must overcome their differences as they risk their careers - and their very freedom - to help bring long-buried truths to light. The film is both a gripping and timely celebration of the free press, and, in the remarkable hands of Streep, an exploration of what it meant then (and, perhaps, now) to be a woman thrust into power in an all-male world. Even for us Golden Agers who know this story and its’ Watergate follow-up as well, in our present time of “alt-facts”, it doesn’t hurt to reflect upon a President who broke the law, lied and tried to suborn the process of justice….